The Blossom kids know better than to hang around when the police show up, so when the cops come looking for their grandfather, Pap, both Maggie and Vern run off into the woods and hide. 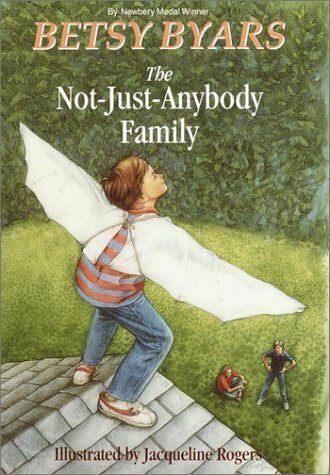 Unfortunately, Junior, their brother, is on the roof of the barn attempting to fly with cloth wings, and his getaway is thwarted when he falls and breaks both his legs. With their mom away with the rodeo, their dog, Mud, missing, Pap in jail and Junior in the hospital, Maggie and Vern are left to their own devices, and they must rely on their own ingenuity to bring everyone back together again, whatever it takes. 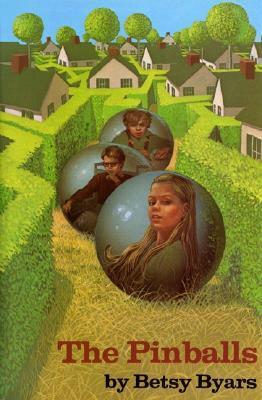 In this book, as she does in The Pinballs (1977), Betsy Byars explores the lives of realistic kids in a difficult, but entirely plausible, situation. She does not shy away from the negative emotions Maggie, Vern, and Junior each feel as things crash down around them, but she doesn’t allow them to wallow in negativity either. Rather, she focuses on the ways in which kids themselves can be empowered to make their own good fortune, and to fight against life’s problems by relying on each other. Readers will be delighted when Vern manages to break into jail, and they will be equally thrilled by Junior’s hospital roommate, Ralphie, whose spunky attitude and outrageous lies help him cope with the loss of his legs. Animal lovers, too, will be pleased to follow Mud as he, too, tries to track down his master and get back to the warmth and comfort of home. The Not-Just-Anybody Family is a great family story about sticking together in times of trouble. Though some of the subject matter is quite serious, the kids’ adventures in jail, in the hospital, and in the courtroom provide a lot of laughs that make readers fall in love with the Blossoms and want to be a part of their family, however dysfunctional it might be. Kids who have quirky families of their own, or who are sick of sugary-sweet stories about typically happy families will get a kick out of this book, and will undoubtedly look forward to its four sequels: The Blossoms Meet the Vulture Lady, The Blossoms and the Green Phantom, A Blossom Promise, and Wanted… Mud Blossom. Franny Davis is eleven years old, and though she loves her father, she is often frustrated by his lack of ambition. An artist at heart, Mr. Davis finds it difficult to hold down any one job for very long, which leaves the family with little money to spare and lots of financial worries. These concerns are compounded by the fact that not long ago, Mr. Davis experienced an illness, the treatment for which left his family deep in debt. Mrs. Davis must now work full time, and since the youngest child, Marshall, is only five, Franny and her twin brother Jimmy have to look after him each afternoon instead of spending time with their friends. Thankfully, Franny’s friend, Simone, understands Franny’s situation because it is similar to her own, and the two form a lunchtime friendship that helps each of them cope with the difficulties of their daily lives. This book was originally published in 1965, and it received a Newbery Honor in 1966. The story is told primarily from Franny’s point of view, but occasional chapters visit other perspectives to broaden the reader’s understanding of the lives of both girls and their families. I really enjoyed Stolz’s writing style, which focuses mainly on the emotions of her characters, and on the development of their individual personalities. Among my favorite characters is Marshall, the youngest brother, whose dialogue sometimes sounds too mature for his age, but whose desire for a birthday celebration is universally relatable and provides the bulk of the story’s suspense. I also like the way Stolz encourages the reader to empathize with Franny’s dad, despite his bad habits. Though I was never completely happy with his actions, I could understand how he was torn between his passion and his need to support his family. 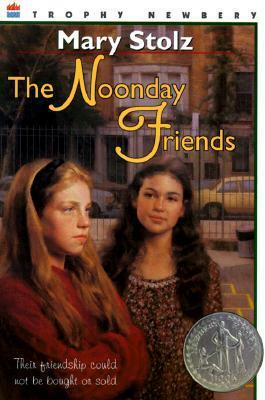 The Noonday Friends is a great realistic fiction novel for readers who enjoy episodic tales of family life. Because of the New York City setting, some parts of the story put me in mind of Johanna Hurwitz, who also writes a lot of great slice-of-life stories about city living. The subject matter also makes it a great read-alike for Ramona and her Father, which also focuses on the difficulties faced by a family when a parent loses a job. In our current economic crisis, the themes in this book are perfectly relevant, and because the writing focuses mostly on the characters and not on the larger culture, there are few references that date the book to the 1960s. 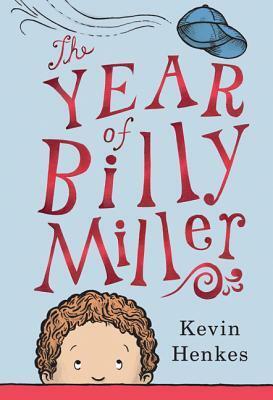 I don’t know how I managed to miss this book, especially since it is a Newbery Honor! I look forward to reading more from Mary Stolz, and to possibly revisiting a title of hers I do remember from childhood, The Bully of Barkham Street. Kelsey Green is great at reading. Her best friends are good at math and running. 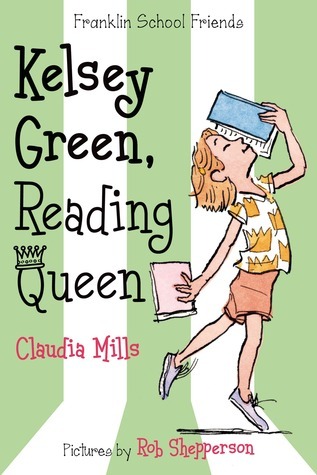 In this first of three books exploring each of the girls' special talents, Kelsey's class learns that they will be entering a school-wide reading competition, with prizes for the best readers in each class as well as the best class of readers in the entire school. Kelsey desperately wants to beat her class's other star reader, Simon, but she always seem to be a book or two behind, even when she reads the skinniest books she can find on her reading level. To make matters worse, the fifth grade's star readers are carrying their class ever-closer to first place. The only thing Kelsey can do now is try to motivate the reluctant readers in her class to read more books, even if it means being a little bit bossy in the process. Claudia Mills consistently writes wonderfully relevant school stories at both the chapter book level and the middle grade level. In this story for the early elementary audience, she demonstrates her keen understanding of how children compete with one another, and how acutely aware kids are of reading levels, both their own and those of their classmates. Most elementary school students I know are at least slightly obsessed with reading levels, so for me, this book has its finger firmly on the pulse of what is happening right now. Since kids like to see themselves in the books they read, especially when they are just learning, this feeling that the story is happening right now is really important. I also think Mills does a nice job of creating a flawed character. Kelsey might be the reading queen, but she has a lot to learn about compassion, patience, and good sportsmanship, including how not to be a sore loser. Interestingly, it's not completely clear from the story itself whether Kelsey herself learns a lesson, but I think the reader definitely does. Through Kelsey's behavior as she tries to teach her classmate, Cody, to love reading, kids learn how to be understanding of the differences between themselves and their classmates, and how to use their strengths to help others, not to show them up in front of everyone in order to be the best. This book and its companions have a place in every elementary school classroom, and they might be especially useful in those where heavy competition among students of differing abilities has become a problem. Read-alikes for this series include the Polk Street School Kids books and the Clementine series. Tracy Beaker lives in a children's home. She has had two failed attempts at making things work with a foster family, but because she is an older child and a bit unruly, she has had trouble making a long-term connection. When she begins writing her life story in a book given to her by the home, she discovers some writing talent, and even has the chance to meet a real-life author, but when it seems like she and the author might just hit it off, she finds that her behavior might keep her from truly enjoying this new friendship. Tracy is the plucky kind of character kids love to read about, whether they have anything in common with her or not. She is smart-mouthed, funny, sarcastic, and authentic, and her difficult situation gives kids a lot of reasons to root for her right off the bat. She is not always a reliable narrator, but her lies and half-truths are always obvious to the reader, and I think the reader can easily understand that they arise from a desire to protect herself. Even her misbehavior – getting into fights, breaking others' belongings, having angry outbursts – is presented in a realistic way that presents things for what they are, without glorifying disobedience or immediately passing judgment on Tracy as a “bad” kid. Though this book was originally published in the UK in 1991, it didn't make it to the United States until 2006. Though I suspect the publisher probably could have updated some things to bring the story up to date, there is no obvious evidence that this has been done in the US edition that I read. I recall no references to cell phones or other gadgets, and honestly, I'm not sure Tracy or her friends would realistically have those things even if this book were written today. Everything in the story felt very contemporary, and I think most middle grade readers would feel the same way. Last year, when I reviewed One for the Murphys, I criticized it for its overly happy ending, which to me, felt forced and unrealistic. The Story of Tracy Beaker seems much more in tune with what a real-life foster care experience might be like, and I think anyone who reads One for the Murphys should read this book as well to ensure a more balanced look inside the lives of kids who are in the foster care system. 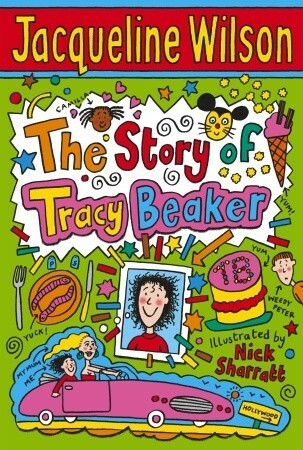 There are several other titles about Tracy Beaker, and though they don't seem to be available in the US, I'd definitely like to read them. They include: The Dare Game, Starring Tracy Beaker, Tracy Beaker's Thumping Heart, and Ask Tracy Beaker and Friends.